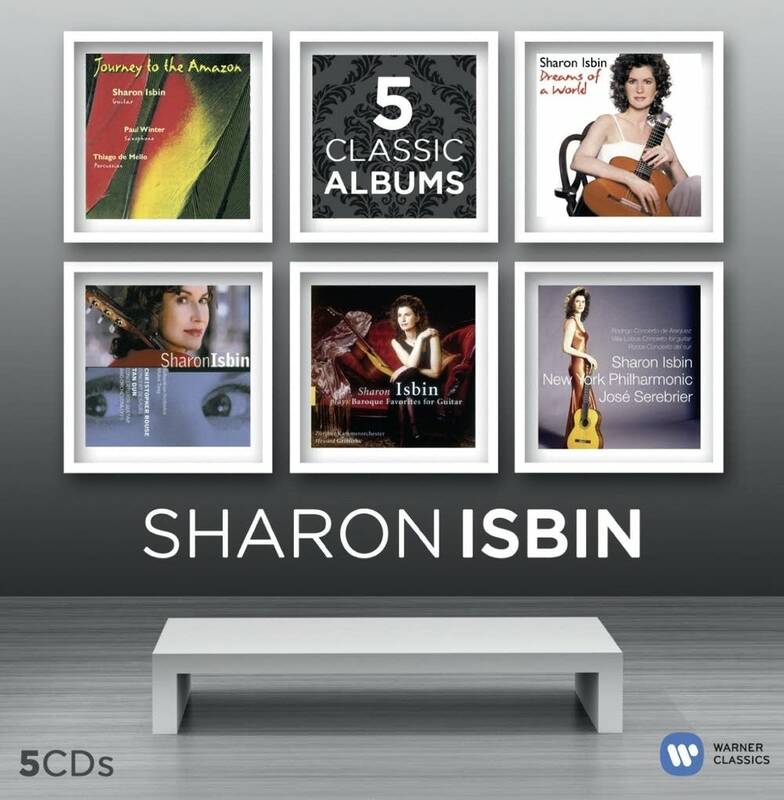 Sharon Isbin, 5 Classic Albums box set © 2014 Warner Classics. "I felt that what I have been able to bring to the instrument in terms of the unusual collaborations, the literature, that is something that I really wanted there to be a record of," says guitarist Sharon Isbin. "And I wanted it to be very visible so that it would inspire other musicians and other composers to take that ball and run with it and create their own projects after I'm gone. And of course I want the projects that I've done to have a long life that goes on to eternity." Grammy Award-winning Isbin is talking about her legacy, which has recently been chronicled in, Troubadour, a one-hour documentary. Five of Isbin's classic recordings have been packaged into a new CD set corresponding with the film, which explores what it takes to nurture a dream against all odds to become a world-class musician. In the guitar world, Sharon says she has always had to fight as a woman. And in the music world, she's always had to fight as a guitarist. "I think having two older brothers trained me for that because I learned early on that I had to stand up for what I believed in," she says. "Of course, when I started as a guitarist, I had no idea what the world was like. But I soon found out and I'm glad that I've been able to be a pioneer in a lot of ways. To create the first guitar department in the Juilliard School and to be able to be the first and still only guitarist to record with the New York Philharmonic, to break the gridlock at the Grammys and [to] be the first to win a classical Grammy as a guitarist in almost 30 years. So all of these things are really paving the way for others, and that's what it's all about." Two of Sharon's Grammy-winning recordings are part of her new box set, Dreams of a World, and her concerto CD featuring works written for her by Christopher Rouse and by Tan Dun. "Tan Dun likes to pay homage to the instrument that he's writing for," Sharon says, "in this case, the Spanish guitar and its flamenco history and to bring something from his own heritage, so it's also inspired by the ancient Chinese art of the pipa and Chinese folk music. So I have to, in some ways, become a pipa player and with that, to introduce gestures of flamenco. So at the very beginning you're hearing us stomping our feet and clapping and strumming and it's really quite wild. And then the whole journey begins into the land of Tan Dun and China." Sharon's curiosity about people, about the world and about music is what drives her passion to explore new collaborations like those you'll hear on her recording, Journey to the Amazon. "The late Thiago de Mello … sadly, he passed away last year. He was an Indian from the Amazon rainforests in Brazil. Very exotic. And a composer as well as an organic percussionist. So he made most of the instruments he played. Whether it was the turtle shell  following a dinner that their family would have had in Brazil of the turtle and the hollowed-out shell  depending on where you tap it produces all kinds of sounds. He would make the rainstick  a long bamboo tube filled with beads and seeds. Even the toenails of a tapir or the dried-out shells of a cocoon. And he uses it, believe it or not, all these instruments and many more on our Journey to the Amazon." Sharon recalls one recording session with Thiago that required some additional improvisation. "At security in the airport, they mistook the bow of one of his instruments and they thought it was weapon," she recalls. "So they so mishandled it going back and forth through the X-ray machine [and] they broke it. And it was a Sunday and my parents had to go searching for Chinese restaurants to try to find chopsticks to tape together so he could use that. It created a sound that has never been duplicated since … and you can hear it on Journey to the Amazon." Sharon's journey with the guitar started when her family moved to Italy for her father's job. She was just nine years old, and her dream was to be a rocket scientist. Sharon's passion for the guitar really ignited when she and her family moved back to Minnesota. "And that really happened thanks to the Minnesota Orchestra," she recalls. "I won a competition when I was 14 and the award was to perform with the orchestra. One of those pieces is on the box set  the Vivaldi Concerto in D  and it's featured very prominently on the documentary Sharon Isbin: Troubadour as well. And by having the experience, overnight I decided that playing in front of 10,000 people was even more fun than launching my worms and grasshoppers into space so I decided, that's it. Enough with the science stuff, I'm going to become a guitarist." 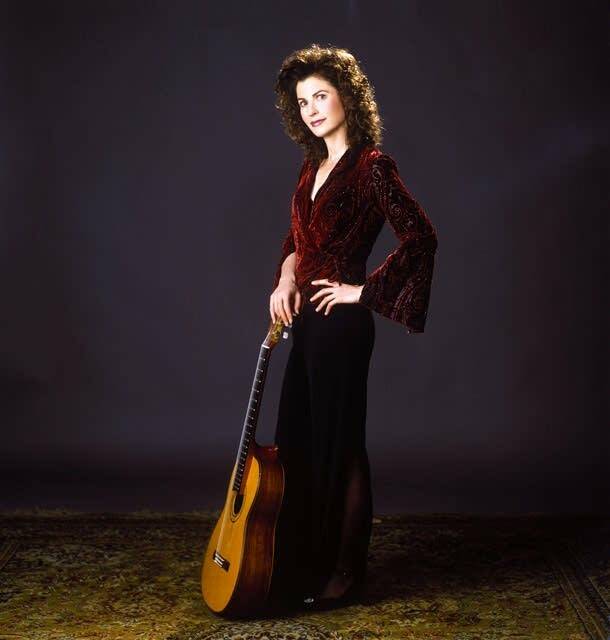 Sharon Isbin, a pioneering classical guitarist  who is out of this world.